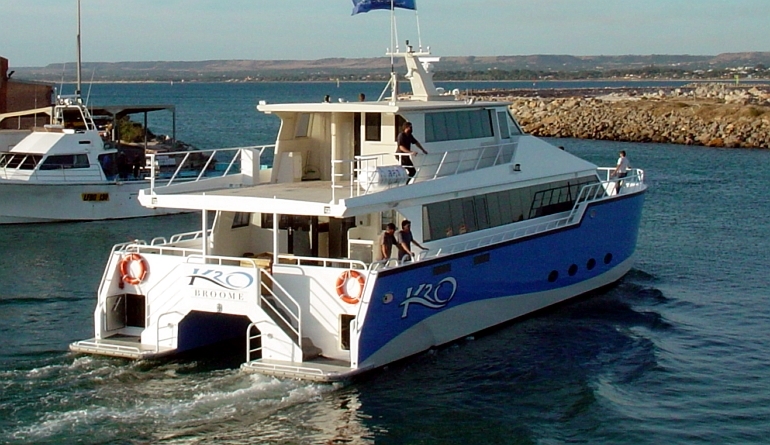 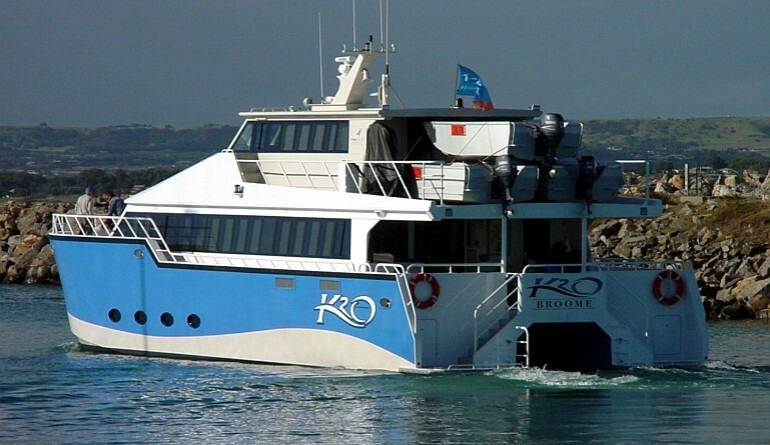 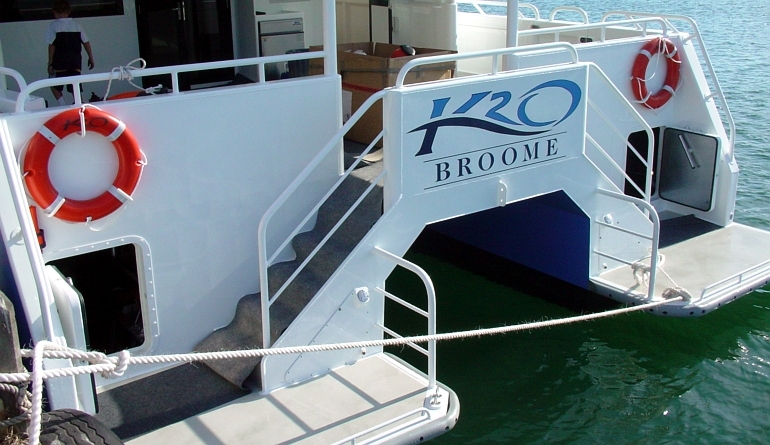 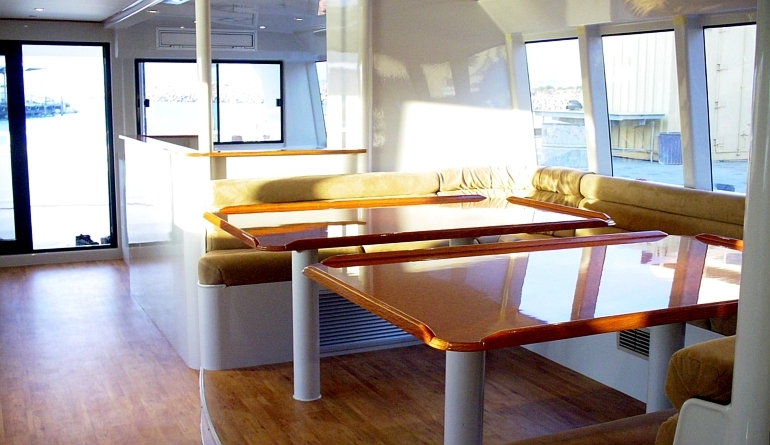 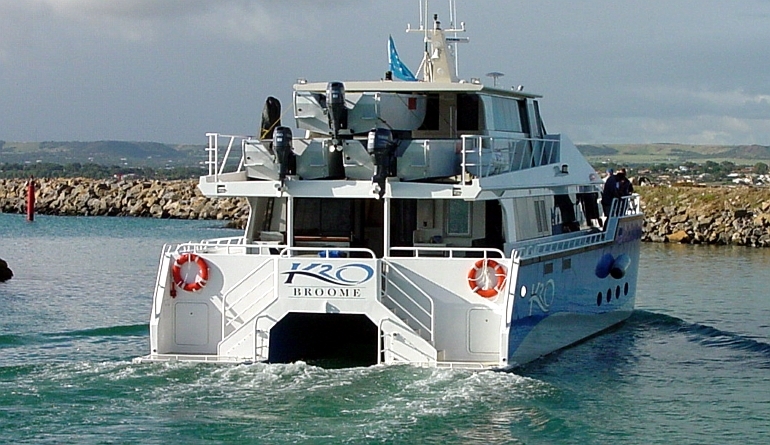 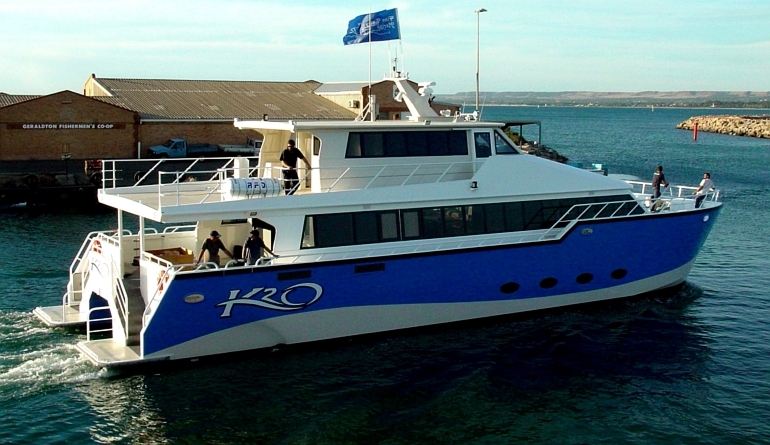 The aluminium marine kit for “K2O” was custom designed and supplied by Global Marine Design and expertly assembled by Fine Entry Marine of Geraldton. 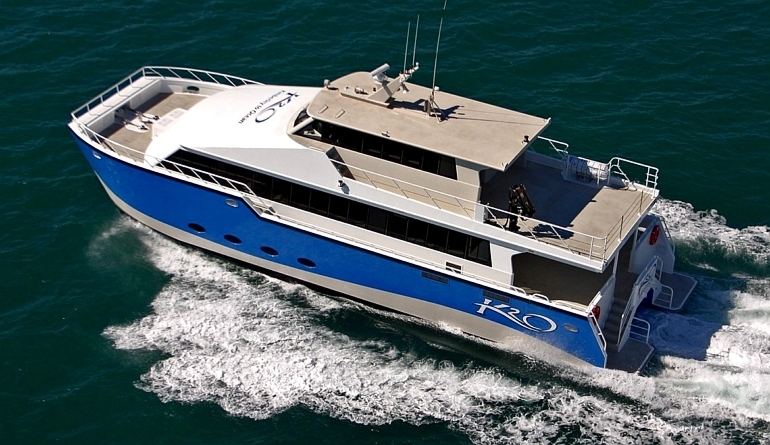 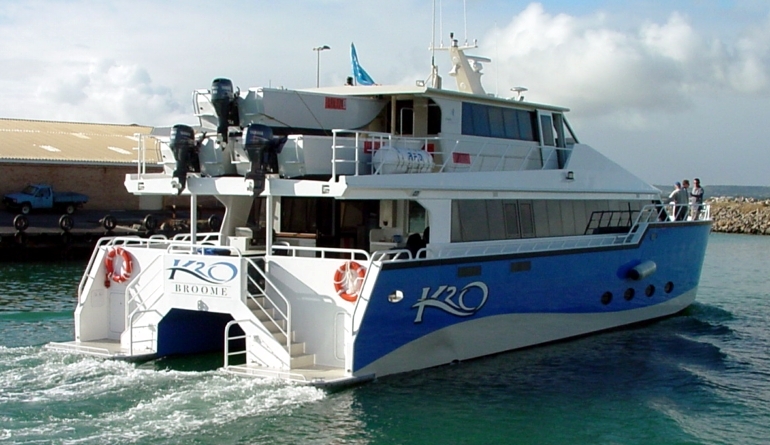 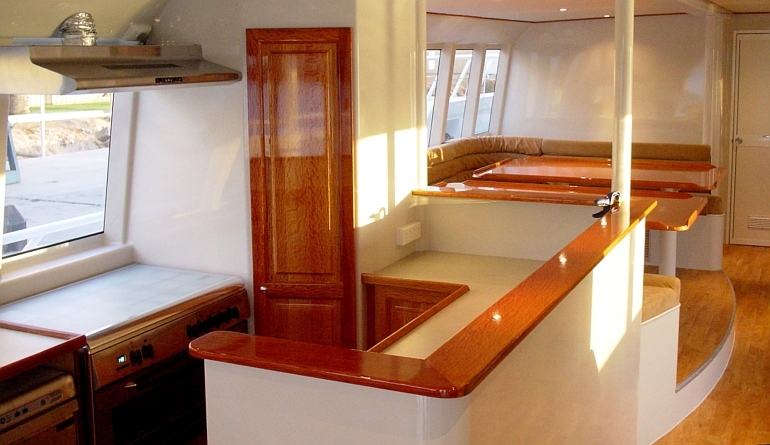 “K2O”s generous dimensions, particularly her beam, make for very comfortable living conditions for the 14 passenger and 4 crew as they tour through the Kimberly Coast between Wyndham and Broome. 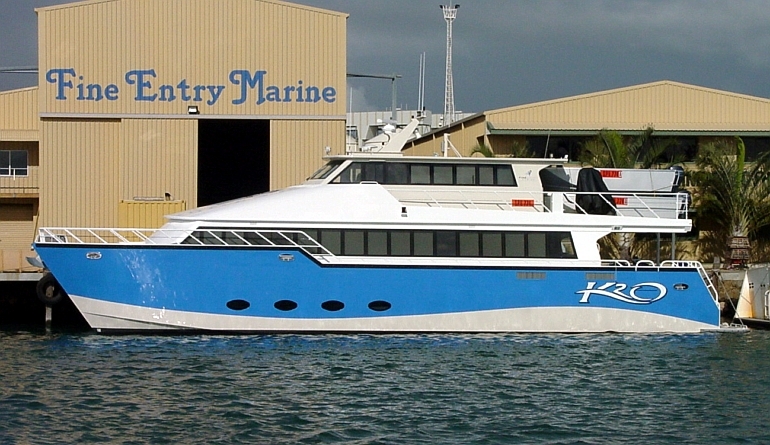 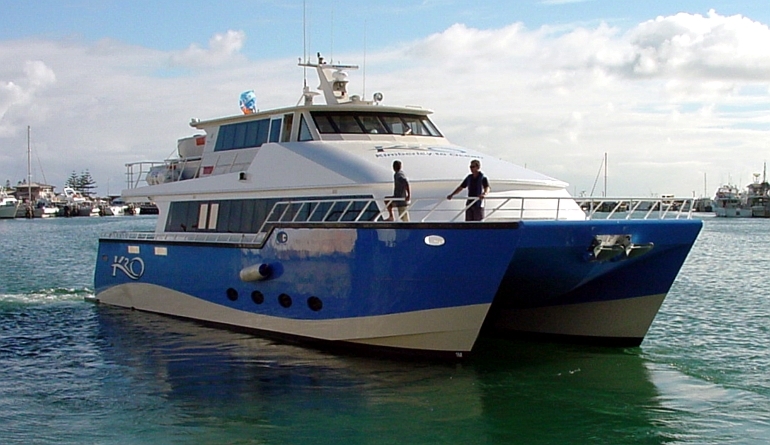 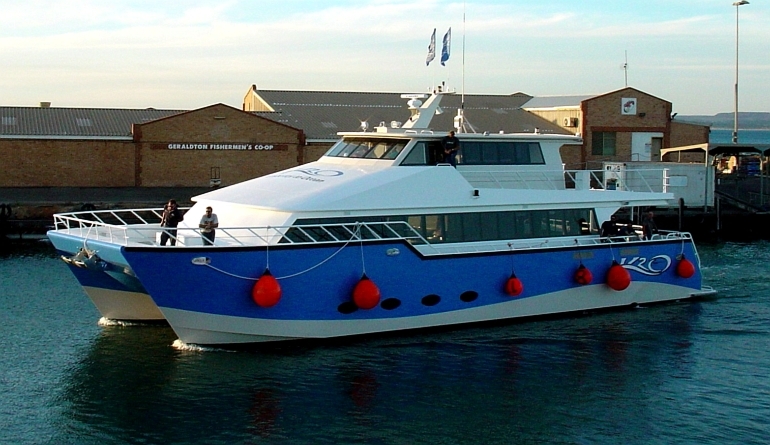 The 22m catamaran is powered by a modest pair of Cummins QSM 11 engines rated at 450 hp each for a sprint speed of 17 knots and economical cruising speed of 12 knots. 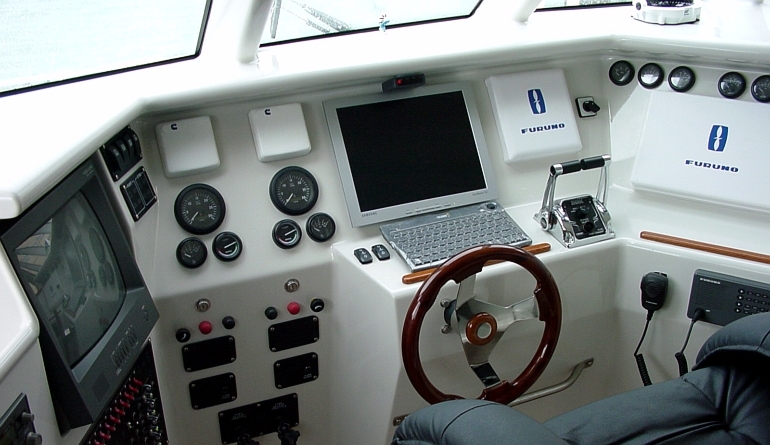 Very economical, with only 30 litres per our being used by each engine when crusing. 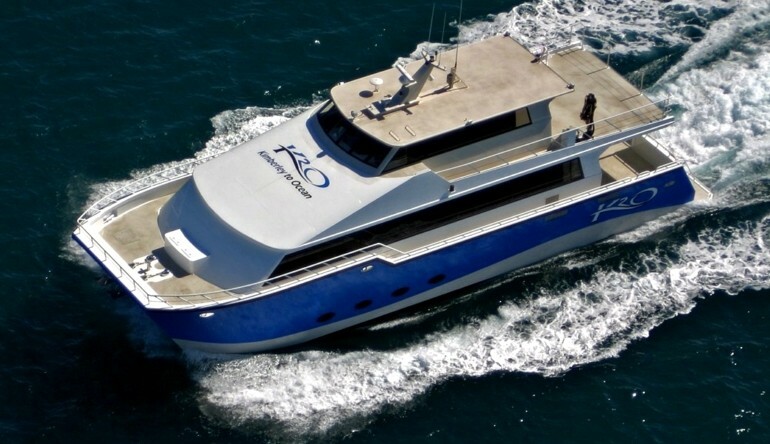 The 12,000l fuel capacity gives the vessel range in excess of 2,000 nm at cruising speed. 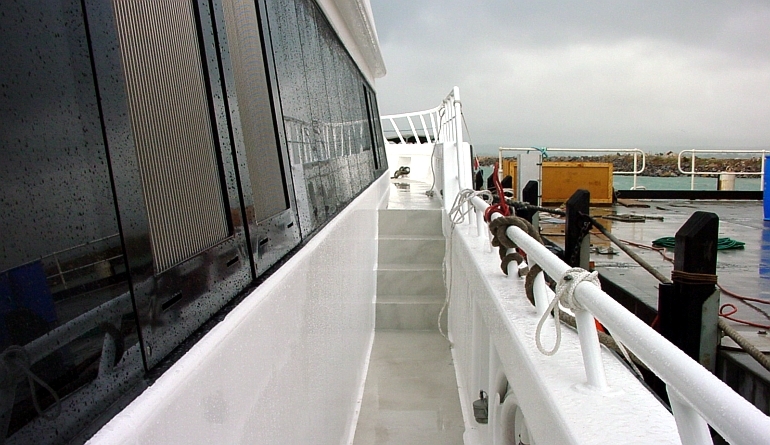 The finished vessel is a great success by any standard, from design and kitting, through construction, operation and earning.